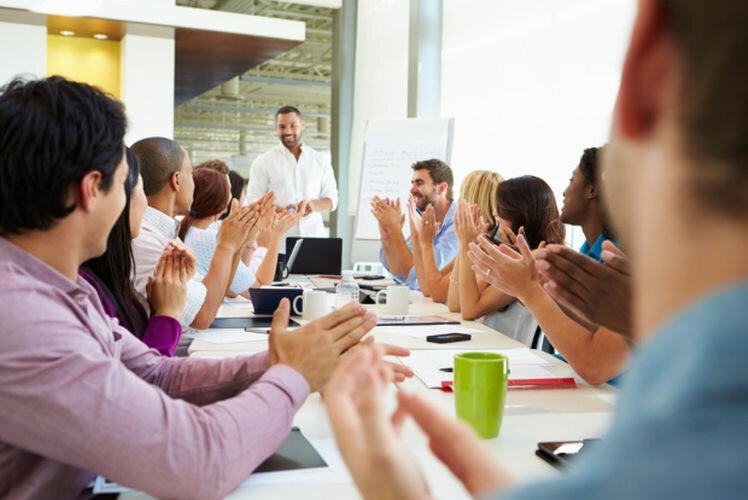 Bringing your presentation to the next level is something you can accomplish by adding some little touches that will produce a lot of value during your presentation. For more details on our presentation training classes call us on 888.815.0604. Humor is a popular way to liven up a presentation. It makes the audience align with you, and sends a signal that you are in charge. Handled properly, humor enriches a presentation. Your audience will understand and appreciate what you are saying. A joke should have a punch line, delivered with all you’ve got. If a joke or delivering humor with words isn't within your comfort level, consider sharing a lighthearted cartoon, doing a simple magic trick, or doing something else that is unexpected and evokes a reaction and some emotion from the participants. Questions can be used in many ways, and at just about any time during your presentation. To get a feel about the mood in the room. Much of the discussion during your presentation will be structured to fit with the learning exercises. If a remark or question is made during a discussion that is off topic or something that should not be dealt with at the time, you can always add it to the parking lot, and return to it during the wrap-up to bring closure. Q&A Sessions: If time permits in your presentation, you may choose to hold a general question-and-answer session. Since as the presenter you are in control, you can decide when to stop the discussion. In a large room, be prepared to repeat each question. If no questions arise, be prepared to ask one yourself. Restating Negative Questions: If a question is phrased negatively, restate it. For example, "Why have so many of his staff displayed chronic absenteeism?" can be restated as "Let's explore what we can do to reduce absenteeism in the team." Off-topic: Don't forget about the parking lot if you receive an off-topic question. Leveraging experience in the room: There may be situations when you wish to redirect a question to one of the participants. Again, you are in charge, so call upon someone and keep the discussion moving on afterward.